With the holiday season upon us, Mobile Medical Corporation (MMC) would like to remind everyone of the elevated risks of drunk driving and alcohol related incidents on our nations roads and highways. In an effort to provide awareness, MMC would like to share the following report titled Rating the State's Drunk Driving Efforts compiled by Mothers Against Drunk Driving (MADD). MADD continues to call on the nation to rededicate itself to saving lives, preventing injuries and eliminating drunk driving on our nation’s roadways. MADD statistics report that drunk driving costs the United States more than $132 billion annually. 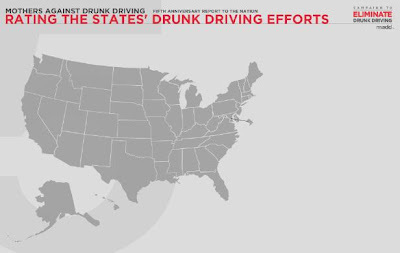 Please click the map below to access MADD's map detailing the 50 states and their efforts to curb drunk driving. Since the 1960's the sport of surfing has always been surrounded by the negative bad boy image of partying, drugs and alcohol. The partying atmosphere has taken its toll on surfers throughout the generations leading to last years overdose death of surfing great Andy Irons. The Association of Surfing Professionals (ASP) will begin substance abuse testing next year in hopes of protecting their members and overall image. What type of drugs will be tested and what methods have yet to be determined. “It’s been a long time coming,” said Hawaiian event representative Randy Rarick. 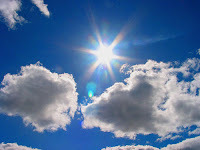 Details are vague, but the testing is expected to be in place for the Quiksilver Pro on the Gold Coast, the first event for 2012. Jeff Hakman Born in 1948 in California. At only 17 years old, he beat some of the world's best surfers and found International fame, and in 1966 he was proclaimed the world's top big-wave rider. In the late 60s to early 70s he launched the Quicksilver brand in the US. The companies success in the States was rapid and huge. Unfortunately Jeff developed a drug problem, which got the better of him. He sold his interest in Quiksilver to pursue drugs and was eventually kicked out all together. Jeff's heroin addiction was so bad by this time that he ended up in rehab in the late 80s. Surfer Chris Cahill, a member of the legendary 1970s Zephyr skateboarding team formed in the section of Venice Beach, Calif. known as Dogtown died of acute cocaine-morphine (heroin) toxicity in 2010. Surfer Josh Persoff, a recovering addict created the Surfer's Code for Recovery. Persoff explained in a 2011 interview with ESPN that the Surfer's Code for Recovery is in addition to -- not a replacement for -- traditional recovery programs. "This is a way to translate traditional recovery programs into the surfer language," said Persoff. 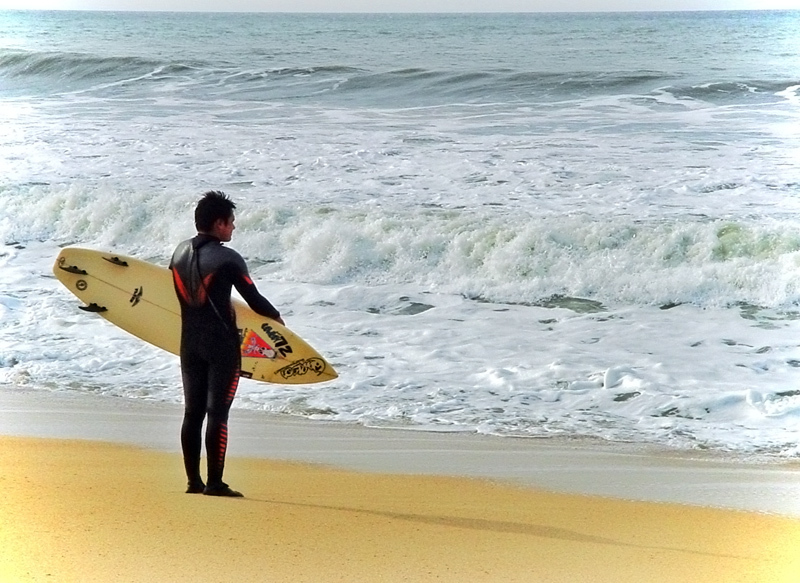 "I will watch out for other surfers. Surfers are a unique population, a tribe. Most of the education needs to come from within the tribe, like any cultural group," said Persoff. He takes surfers in recovery back out on the waves, and provides surfboards and gear, like Persoff's sponsor provided for him. Mobile Medical Corporation Bringing Holiday Cheer to MBA Toys For Tots! Mobile Medical Corporation is proud to be participating in the MBA Young Constructors Annual Holiday Toy Drive that benefits Toys for Tots and The Mario Lemieux Foundation. MMC will be accepting new unwrapped toys for the MBA Young Constructors Holiday event on December 1st in Pittsburgh, PA. MMC will continue to collect toys until December 19th for another donation to Toys for Tots. MMC is also helping to keep someone warm this year through it's Annual Winter Coat Collection. MMC is accepting new and gently used winter coats and jackets. Stop in and donate today to help MMC spread some holiday cheer! "Mommy I think our bus driver is drunk- she's not driving right." New Jersey - Westampton Middle School students alerted parents that their bus driver seemed to be under the influence as erratic driving cause students to cry out "I don't want to die today!" The driver, Carole Crockett had a blood-alcohol level of 0.25 percent, five times the legal limit for operating a commercial vehicle. Crockett was released on $85,000 bail. Blood Alcohol Concentration Levels & The Implied Consent Law"Per Se" Blood Alcohol Concentration (BAC) Level - Most states have DUI laws that deem "per se intoxicated" any driver with a blood-alcohol concentration (BAC) at or above .08 percent. This means that drivers with a BAC at or above .08 are intoxicated in the eyes of the law, and no additional proof of driving impairment is necessary. Mobile Medical Corporation's Random Drug Testing with Saliva Alcohol Testing can help to stem the costs of "working" under the influence. 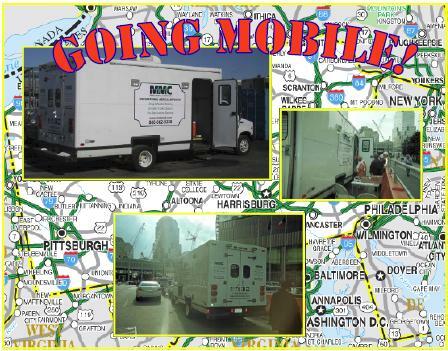 Pittsburgh, PA based Mobile Medical Corporation (MMC) is an industry leader in providing customized workplace drug and alcohol testing, on-site medical serivces and credential tracking solutions. Contact us today and ask about our Instant Saliva Alcohol Testing! The Cape May County Correctional Center recently broken up a "fairytale" drug trafficking operation that used children’s coloring books featuring Cinderella and Snow White to smuggle drugs into jail. 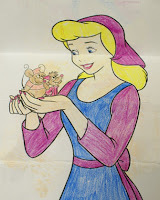 The operation used a dissolved solution of narcotics which was made into a paste and then painted onto the coloring book pages and mailed to the inmates. The coloring pages, seemed like an innocent correspondent and were even addressed "to Daddy" and signed "from Emma Lee." The authorities were tipped off on the operation and shut it down. The main drug in the paste was Suboxone. Suboxone is used to treat opioid addiction and contains a combination of buprenorphine and naloxone. Buprenorphine is an opioid medication. Buprenorphine is similar to other opioids such as morphine, codeine, and heroin. Naloxone blocks the effects of opioids such as morphine, codeine, and heroin. Pittsburgh Drug Testing firm Mobile Medical Corporation (MMC) is an industry leader in providing customized drug and alcohol testing and credential tracking solutions. Contact MMC today and ask about Instant Drug and Saliva Alcohol Testing! Keith Gruber of Swan Lake, New York was sent directly to jail after he arrived at court over an hour late for a DWI hearing. Now being late probably angered the judge a tad but the open Busch beer that Gruber was holding probably pushed the judge over the top. Gruber was later found coveting 4 more beers in a bag that he was holding. 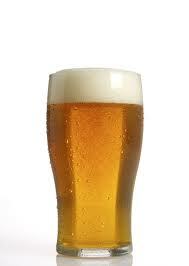 Frank LaBuda, the preciding judge asked Mr. Gruber if he enjoyed his "liquid lunch?" Gruber replied that he did and he was sorry. The Office of National Drug Control Policy claims that drugs and alcohol cost taxpayers more than $300 billion annually in preventable health care costs, extra law enforcement, auto crashes, crime and lost job productivity. 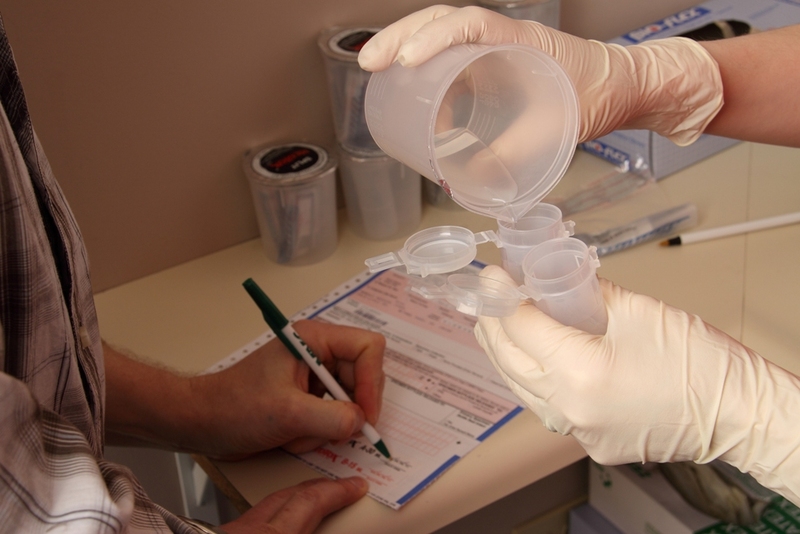 Mobile Medical Corporation's Random Drug Screening Solutions with Saliva Alcohol Testing can help employers to stem the costs of "working" under the influence. Pittsburgh drug testing firm Mobile Medical Corporation (MMC) is an industry leader in providing customized workplace drug and alcohol testing and credential tracking solutions. 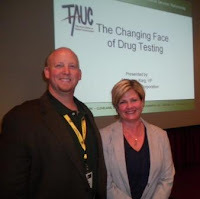 Contact MMC today and ask about Instant Drug and Saliva Alcohol Testing! MMC Rolling into Las Vegas for AGC’s 92nd Annual Convention! MMC will be traveling to Las Vegas for the Associated General Contractors of America (AGC) 92nd Annual Convention. The convention will provide general and specialty contractors with the opportunity to gain the knowledge and expertise needed to survive and thrive in the coming year. From the latest impact of state and federal regulations on the construction industry, to best practices for BIM and contract negotiations, to practical advice on labor management and green building, AGC’s Annual Convention delivers the working knowledge contractors need to improve operations, expand into new markets and build their business. Mobile Medical Corporation (MMC) is a certified Woman Business Enterprise that provides solution based substance abuse testing and on-site first-aid and medical services for the construction industry. Our service features administering multi-employer projects for facility owners, contractors, and Owner Controlled Insurance programs (OCIP and CCIP) nationwide. MMC has set the standard when it comes to On-Site Medical Facilities management. MMC’s on-site medical stations allow our clients to maximize both health and safety standards on their job sites, while substantially reducing compensation costs and employee’s time away from work. MMC plays an integral role in construction projects and has proven to be invaluable to our client’s Health and Safety Risk Management teams. MMC's corporate headquarters is in Pittsburgh, PA with regional offices in Cleveland, OH; Baltimore, MD; Astoria, NY; Paramus, NJ and Sacramento, CA. 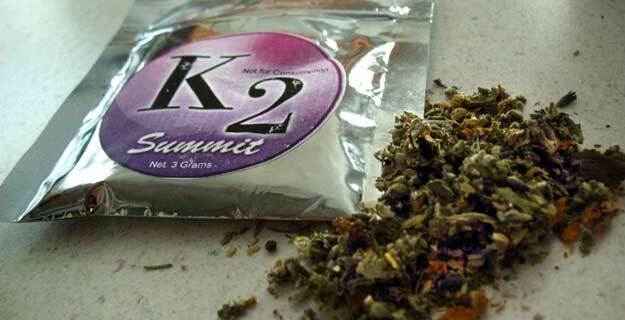 The synthetic product is sold as incense in head shops, tobacco stores, gas stations, malls and convenient stores. So far, twelve states have banned the sale of Synthetic Marijuana - (Kansas, Georgia, Alabama, Tennessee, Missouri, Louisiana, Mississippi, Arkansas, Oregon, Illinois, Michigan, and Kentucky). The American Association of Poison Control Centers reported that within the past year there have been over 500 cases of negative reactions to the still legal yet dangerous drug. On the national level the U.S. Drug Enforcement Administration (DEA) recently designated certain chemicals that are present within Synthetic Marijuana to the same drug category that heroin and LSD are part of and further emphasizes the need to be able to test blood and urine for Synthetic Marijuana use. MMC will be attending the Associated General Contractors of America (AGC) Annual Convention in Las Vegas, NV from March 21-25, 2011. MMC will be exhibiting at the 2011 IBEW Construction and Maintenance Conference (3/30 - 4/1) and Building and Construction Trades Department (BCTD) National Legislative Conference (4/2 - 4/5) shows in Washington, D.C. and will also be active during that week at the Oklahoma NECA National Employee Benefits Day on April 4th. In the month of May, MMC will be at the Greenbrier Resort to attend and provide sponsorship for The Association of Union Constructors (TAUC) Leadership Conference (5/10 - 5/13) in White Sulphur Springs, West Virginia. We look forward to seeing everyone at this stellar line up of tradeshows and conferences! Secretary of State Clinton says Drug Legalization Likely Not to Happen Because "There’s ‘too much money in it." US Secretary of State, Hillary Clinton believes that the United States would have a hard time legalizing drugs as a means of fighting the black market because "there is just too much money in it." In an interview with Mexican television regarding drug legalization Clinton responded, "You can legalize small amounts for possession, but those who are making so much money selling, they have to be stopped. They can’t be given an even easier road to take, because they will then find it in their interest to addict even more young people." Advocates of legalization have roared back and responded by saying, "Clinton's response illustrates not only the intellectual bankruptcy of the prohibitionist position but the economic ignorance of a woman who would be president." At the Drug War Chronicle, Scott Morgan called Clinton's argument "perfectly incoherent" and argued it flew in the face of economic theory. Earlier in the year MMC posted a blog titled "California Looks To Marijuana For Bail Out" in which California contemplated legislation to tax and regulate marijuana like it does alcohol to boost tax revenue. The bill would have allowed adults to legally possess, grow and sell marijuana. Officials that are for the tax and legalization of marijuana, believe that it would generate nearly $1.4 billion in revenue. The California State Board of Equalization reported that marijuana retail sales would bring an estimated $990 million from a $50-per-ounce fee and $392 million in sales taxes. The interview with Secretary of State, Hillary Clinton focused mainly on Mexico's drug war, which has cost over 30,000 lives. Former Mexican President Vicente Fox has come out in favor of legalizing drugs as a way of taking the steam out of organized crime. Mexican President Calderon has approved legislation decriminalizing possession of small amounts of most recreational drugs, and has called for a debate on new approaches to dealing with drugs. Mobile Medical Corporation (MMC) will be attending the North American Iron Workers / IMPACT Labor-Management Conference - February 20, 2011 to February 24, 2011 in Lake Buena Vista, Florida. The event is being held at the Buena Vista Palace Hotel. We hope to see all of you there! Mobile Medical Corporation (MMC) is a certified Woman Business Enterprise founded and incorporated in 1990, by Cynthia J. Latsko. 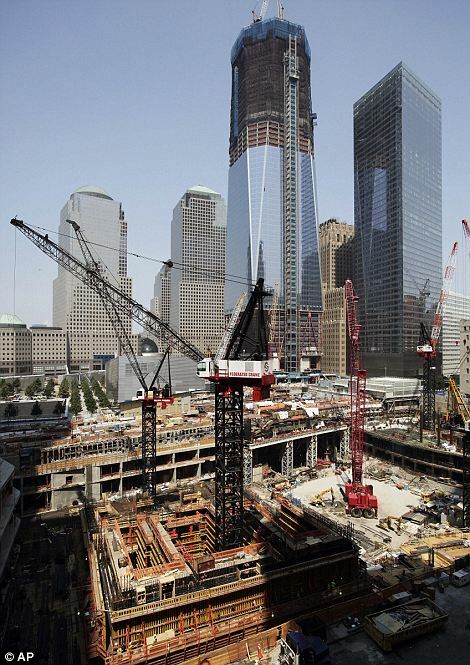 MMC provides solution based on-site medical services and risk management programs for the construction industry.